Maybe your home has reached peak chaos because you’re too busy to put it in order, or maybe you’ve just been lazy. Either way, once you finally get started organizing your home, it would seem that you’re on the right path—even if that path is heaped with clutter. And yet, all too often, when we tackle those piles of paper and heaps of clothes, we end up with a bigger mess than before. How does it happen? The thing is, there’s an art and science to organizing that most mere mortals aren’t born knowing. As a result, many of us end up bungling the organization operation big-time. So take note of these all-too-common mistakes that you’re bound to make while organizing your home—and learn from the experts how to do it better. Before you head to The Container Store to load up on all those nifty new bins and baskets, make certain you know what you need. 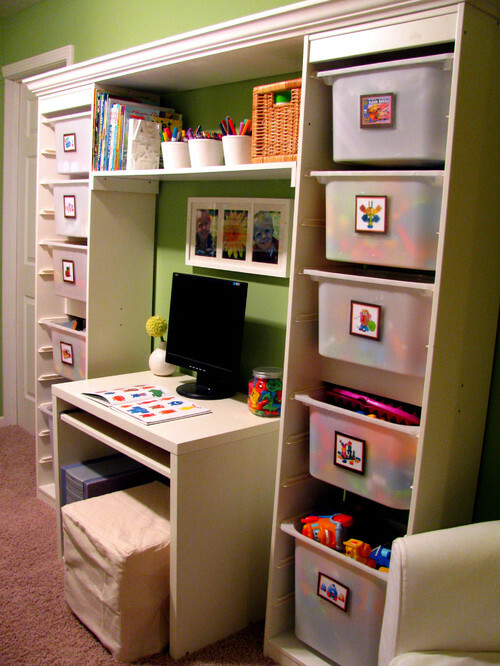 Measure shelves, closets, and under beds so you know whether the bins and baskets you’re buying will actually fit. And if you want to skip the store altogether, you probably can, says Mim King, a professional organizer. “Most people have enough boxes and bags to do the job, so save your money to spend on just the containers that’ll be visible,” she urges. You can’t just take the plunge and hope to emerge at the other end with an organized house. Take a pen, pad, and a few moments to jot down exactly what areas need to be organized, says Juan Carlos Daetz, an organizing pro at Max Warehouse. “Next, estimate how much time each area will take, and then write that down, too,” he says.This way, when you have an extra hour (or even just 10 minutes), you can pick a spot to work on. Not a morning person? 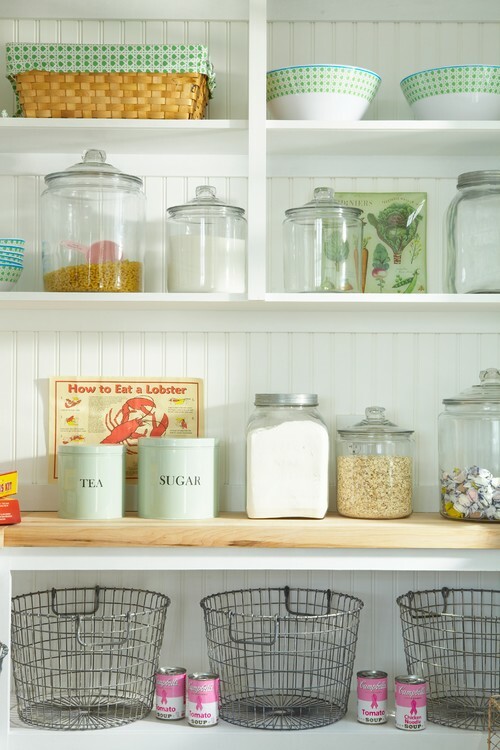 If that’s the case (and yes, we feel your pain), do not plan to organize the pantry at 7 a.m. And if the weather is simply glorious out, there’s no way you’ll want to hole up in the garage. Another timing mistake: waiting for a big block of it to miraculously appear out of thin air. “It’s rare that you’ll have a huge chunk of time to devote to organizing,” points out Jamie Novak, author of “Keep This Toss That.” Instead, work in increments, chipping away at a large project or finishing a few small ones. “When you finally find that pocket of time, you want to get to work, instead of hunting for enough garbage bags,” Novak says. So make sure to keep all the supplies you’ll need well-stocked, such as cleaners, sprays, and every kind of bag, including those for recycling. If everything’s in place, you won’t have to run out for something and end up getting sidetracked altogether. Piles of papers that are neatly stacked on the kitchen counter are not organized, says Daetz. And stashing things in a drawer to clean off the dining table serves only to create a junk drawer. “To be truly organized, your stuff needs a home,” he points out. If you find something on the floor or counter, you should know exactly where it goes. Many homeowners make the mistake of moving things around within the same room, by shuffling or grouping in a new way, reports Daetz. “This happens when your things don’t have a proper storage spot,” he notes. The fix: Get into the habit of finding a place for new items the minute you bring them home. You might also adopt the “one in, one out” plan, too, especially when it comes to clothing, books, and magazines. You can’t organize unless you purge. Go ahead, read that sentence again. Accept it. “Look at the stuff you’ve collected, and really think about how much you use it and love it,” Daetz advises. If you haven’t used it in ages, it doesn’t fit, or it’s expired (ewww! ), place it in a bin to toss or donate. “And if you can’t decide on an item, put it in storage temporarily,” he adds. After a few months if you don’t miss it, out it goes. “It’s all in the mind—and then in the wrist,” says King, referring to that all-important toss into the trash can. But getting to the “wrist” part can be a hurdle for some people. “Most homeowners need the OK to toss things out, so get a friend or hire a professional organizer to help,” she says. Plus it’s no fun sorting Legos and photos all by yourself.